I spend way too much money on books! This year, I made a concerted effort to get more books from the library to help my budget. On my first visit to a local library, I learned that they used Overdrive to rent eBooks and audiobooks! So now, I can check out eBooks and audiobooks from home and read them on my iPad! Overdrive allows you to rent eBooks, Audiobooks, and even video straight from your local library! There are no fees associated with this service. All you need is a library card! To see if you library partners with Overdrive, simply make a quick search on their site. You can then create an Overdrive account using your library card. Download the App onto your Computer, iOS, or Android device and you’re ready to start checking out material! The nice thing about an Overdrive account is that you can sync your content across devices! Never lose your spot on your eBook or Audiobook! When your rental expires, it automatically goes back to the library, so no late fees! For more app ideas, EdTechTeacher has great recommendations for reading audiobooks. You can also learn more at their November 13-14 iPad Summit in Boston where I will be a featured presenter. This entry was posted in Apple, Education, Educational Resources, Educational Technology, Google, Professional Development, Technology and tagged audiobook, books, eBook, Ed Tech, Education, Educational Resources, Educational Technology, free books, Free Educational Resources, freetech4teachers, overdrive, video on October 31, 2014 by Jennifer Carey. The New Adobe Voice: Digital Storytelling With Style! Adobe launched a new free iPad app today called Adobe Voice, and it has great potential for the classroom due to the way that it lets you effortlessly create digital stories, explanations, or stylish presentations by adding your voice to a variety of images. Adobe Voice has several great features for teachers who may be wanting to use this in their classroom. For instance, Adobe has included a wide variety of searchable images and icons that students can use in their projects. This saves having to worry about finding images online because they are all there inside the app. Better still, as model of good digital citizenship, they are all cited correctly as sources in the credits. This entry was posted in Apple, Education, Educational Resources, Educational Technology, Pedagogy, Technology and tagged adobe, Education, Educational Technology, iPad, iPad App, iPad Education, video, video editing on May 9, 2014 by Jennifer Carey. 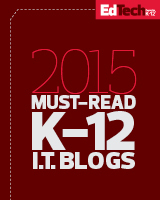 I also encourage you to check out Will’s blog for more resources on educational technology. This entry was posted in Education, Educational Technology, Podcast, Professional Development, Teachers, Technology and tagged camtasia, Ed Tech, Education, Educational Technology, flip, flipped PD, flipped professional development, flipped-classroom, flipping, Professional Development, quicktime, snagit, training, video on April 1, 2014 by Jennifer Carey. The last session for the day I am attending is the Flipped Professional Development by Ryan Eash of TechSmith. You can check out his slides here. It discusses the issue that is prevalent in Ed Tech PD – that people are on very different levels and scales. This format (the flipped model) allowed for multiple EdTech teachers to accommodate different needs and levels. It was a popular method among the faculty as it allowed for greater flexibility and leveling. In order to make a model like this work, you need to have enough instructional technology administrators to effectively provide support for your full staff. We talk about the good and bad of professional development practices: not having a supportive infrastructure and lack of directionality (how do I put this in my classroom?) led to the worst experiences, the best were hands on and building lessons. “So what does Flipped Professional Development look like at your school?” This element requires a lot of consideration: how much time will people need to complete it? How do you get individuals to participate? Is it a multiple application process? 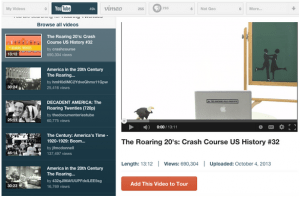 Use video to provide follow-up resources to answer questions or share more ideas. Ryan quickly showed us some of the basic features of Snagit, creating a video right in front of us. A feature I really like is that it readily integrates with Google Drive, Evernote, OneNote, YouTube, and Screencast.com. The Google Drive integration allows you to put it directly into a folder (e.g. a shared class folder) as well as providing you the URL to share.He also showed us Camtasia, which is far more robust and allows for advanced editing. Another great possibility that Ryan suggest is using students to help teach concepts. If you would like to see it in action, check out TechSherpas.org and attend one of their weekly shows. This entry was posted in Education, Educational Resources, Educational Technology, Google, Professional Development, Teachers, Technology and tagged Education, Educational Technology, flipped PD, flipped professional development, flipped-classroom, GAFE, GAFE Summit, Google, google apps, Google Apps for Education, Professional Development, screen capture, TechSmith, training, video on October 19, 2013 by Jennifer Carey. The Old Man and the Sea – Animated. This entry was posted in Education, Educational Resources, Educational Technology and tagged Ed Tech, Education, Educational Technology, English, Literature, movie, stop motion, video on December 12, 2012 by Jennifer Carey.